The firm announces promotions across two of its three offices, indicating a generational shift for a practice known around the world for its iconic, sustainable cultural and civic architecture. With an eye toward future development and growth, acclaimed Danish architectural firm Schmidt Hammer Lassen Architects strengthens its leadership group with the appointment of seven new partners. Trine Berthold, Bente Damgaard, Kasper Frandsen, Mads Kaltoft, Rasmus Kierkegaard, Tiago Pereira, and Nathan Smith join founding partners Bjarne Hammer, John Lassen, and Morten Schmidt, along with Kim Holst Jensen, Kristian Lars Ahlmark, Chris Hardie, and Rong Lu to form a robust new partner group. The announcement comes three months after Schmidt Hammer Lassen joined international architecture and design firm Perkins+Will in a strategic partnership that expands Schmidt Hammer Lassen’s geographic reach, and adds world-class design research, advanced digital technology, and an even broader base of interdisciplinary talent to its arsenal of global resources. Schmidt Hammer Lassen’s seven new partners bring a vast array of experiences and expertise to the firm’s leadership group. Trine Berthold, whose career at Schmidt Hammer Lassen began in 2003, has been a key figure in the development of some of the studio’s most significant competition wins for cultural and civic projects, including Dokk1, the 35,600-square-metre public library that is Scandinavia’s largest, and represents a new generation of modern hybrid libraries. Berthold is known for her use of drawings as a tool for communication and development of architecture, and is active in guiding the next generation of architects. 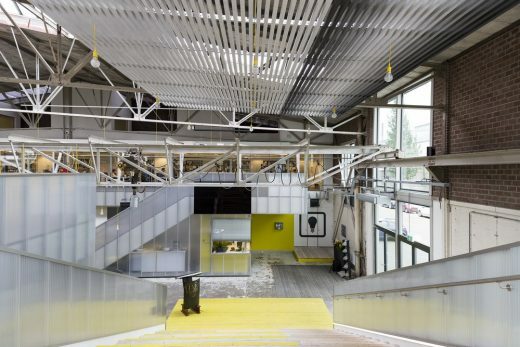 The Aarhus School of Architecture appointed her Vice Dean with a special focus on international partnerships, a position she held from 2014 to 2017. Bente Damgaard joined Schmidt Hammer Lassen in 2004 as Chief Financial Officer, and was promoted to Chief Executive Officer the following year. In her new role as Partner and Managing Director, she will continue to oversee the business performance and strategic development of the practice. Her primary task is to maintain the firm’s position as one of Scandinavia’s leading international architectural studios, while managing a smooth integration with Perkins+Will where she is a member of both the Managing Director Group and the European Strategy Committee. Kasper Frandsen is a talented, ambitious architect whose high design skills cultivated over his 18-year career at Schmidt Hammer Lassen is matched by his keen ability to inspire and guide the next generation of architects. As a generalist, Kasper has been instrumental in both the development of the firm’s healthcare portfolio and in the competition phase of a variety of projects domestically and abroad. He currently oversees the development of an all-timber office building extension in central Denmark, and the University of Bristol Library, an £80 million library development in southwest England. Kasper injects his strong belief in the human-centric approach at the heart of the practice’s Scandinavian design principles into each of his projects. Mads Kaltoft is an experienced architect with a wide range of skills that span from conceptual design to fine details in construction work. The strength of his professional skills lies in his unwavering dedication to his trade paired with a holistic approach to architectural design. Since joining Schmidt Hammer Lassen in 2001, he has developed a distinct management style that combines creative dexterity with strategic ingenuity, and has led teams on projects located across Scandinavia and greater Europe. In a nod to his leadership, Mads was a lecturer at The Royal Academy of Fine Arts’ School of Architecture from 1998 to 2005. Rasmus Kierkegaard has spent the last decade leading Schmidt Hammer Lassen’s Concept Development department in Aarhus. He has a rich, diverse portfolio that includes the strategic conceptual development of complex cultural projects such as Vendsyssel Theatre, Denmark’s first newly built theatre in over a century outside of Copenhagen. 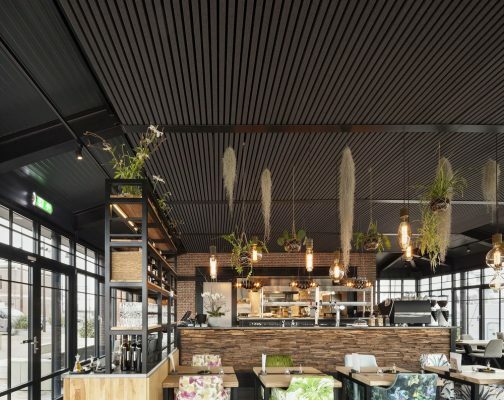 Rasmus has worked with projects in a variety of cultural and geographical settings and has been heavily involved in architectural competitions of all types-from initial idea, to an expanded concept, and all the way to a final design. Quality, sustainability, and creative approach are the hallmarks of his work. Tiago Pereira brought his international experience working in Holland, Portugal and Spain to Schmidt Hammer Lassen in 2006 and has since led the Concept Development department in Copenhagen. During his tenure, he has been responsible for the design of key projects such as Malmö Live, a 54,000-square-metre concert hall, conference centre and 400-room hotel complex in southern Sweden, and an 85,000-square-metre mixed-use complex in Boston, USA. Tiago was a visiting professor in the Architectural Engineering department at the Danish Technical University, and lectures regularly at international conferences, seminars and architectural events. Nathan Smith, Schmidt Hammer Lassen’s Chief Commercial Officer responsible for the firm’s global business development operation, joined the company in 2015 and, in the short time since then, has led the firm to new international markets including Australia and the United States. Nathan brings his dynamic leadership style to the firm’s executive board, where he sets international strategy. Educated in industrial design, Nathan has forged a career within business development and marketing for companies such as Bjarke Ingels Group, AECOM, EDAW and Reuters for more than 15 years. Schmidt Hammer Lassen also promoted five architects to associate partner roles. They are Nuno Cruz, a project architect on the Monroe Blocks project in Detroit; Mads Engel, project development manager and director of the firm’s Copenhagen office; Masahiro Katsume, a seasoned architect with more than 35 years of global experience; René Nedergaard, design lead on projects in the U.S. and across Scandinavia; and Elif Tinaztepe, a recognized global leader in library design. All new partner and associate partner appointments were effective 1 April 2018. 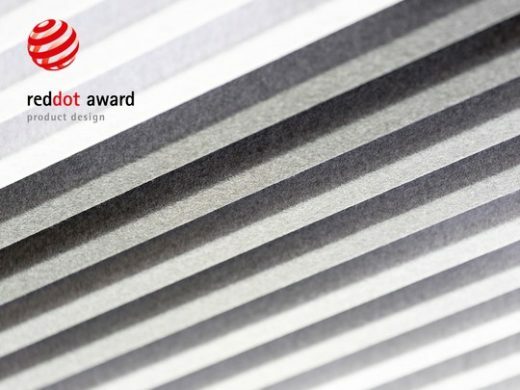 HeartFelt® a design collaboration between Schmidt Hammer Lassen and Hunter Douglas has won the highest distinction in the Product Design category of the Red Dot Award 2017. The Red Dot Award is a prestigious international design recognition dating back over sixty years. This year, the award attracted more than 5,500 submissions from 54 countries. 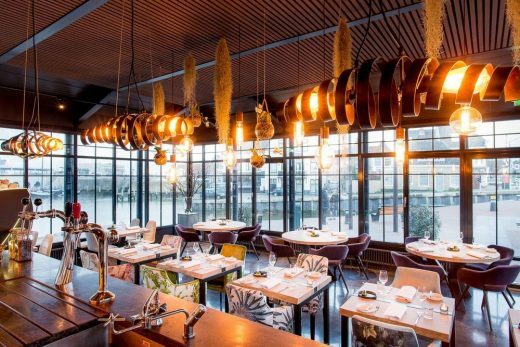 A jury of 40 independent designers, design professors and journalists evaluated the entries, nominating those with a ‘groundbreaking’ design as winners of the coveted award. 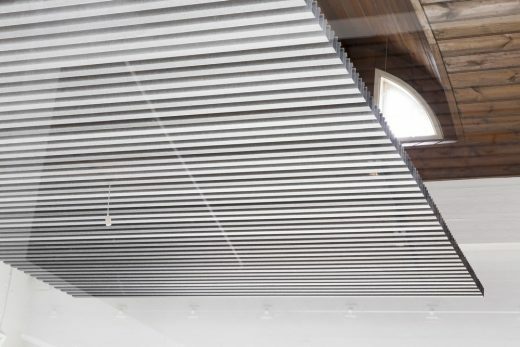 “We came across the idea of using felt as a ceiling material due to its excellent sound absorption qualities”, says Founding Partner Bjarne Hammer. In addition to its aesthetic qualities, felt has excellent functional qualities for (interior) architecture, such as light reflection and sound absorption. The felt used for HeartFelt® is Cradle to Cradle-certified, making it the kind of sustainable solution many architects are currently looking for. The modular system of felt panels offers designers many design possibilities; they can play around almost endlessly with panel size, joint width, mounting height and colour. 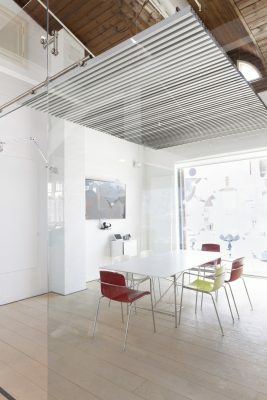 HeartFelt® conforms to all the required building certifications and the European Indoor Environmental Standard (EN 15251) making the ceiling system particularly suited to offices and other functional properties, schools and healthcare facilities. 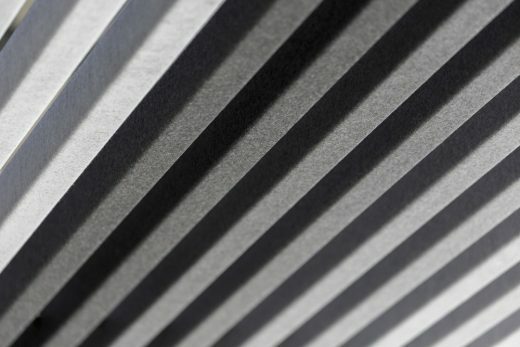 The linear felt ceiling panels that comprise HeartFelt® are made of non-woven, thermoformed PES fibres. 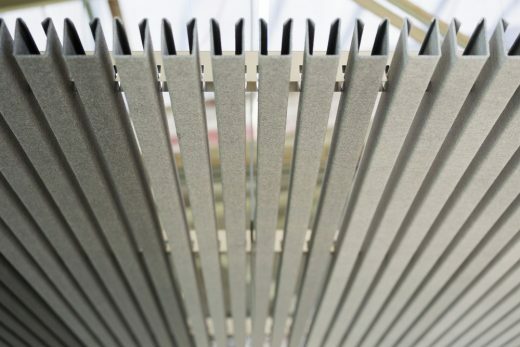 No finishing coat is applied, making the panels 100% recyclable. The carriers (aluminium) and hangers (galvanised steel) are also 100% recyclable. Danish schmidt hammer lassen architects is adjusting its organisation and is downscaling its London office. The studio will, however, maintain its UK activities. “Our organisation has to follow the flow of incoming assignments and therefore we have had to adjust the London office. I would, however, like to stress that we still have a company in London and we will continue our activities in the UK market,” explained Ms Bente Damgaard, CEO at schmidt hammer lassen architects. schmidt hammer lassen architects opened its London office in 2006 and also has offices in Aarhus, Copenhagen and Shanghai. The exhibition and the catalogue are among others kindly supported by: Tækker Immobilienverwaltung, Ytong I Silka and Dinesen. On the threshold of its 25th anniversary, Danish schmidt hammer lassen architects has expanded activities in Asia by establishing an independent office in Shanghai, China. schmidt hammer lassen architects already has more than 10 built projects in mainland China ranging from cultural buildings, housing and large sustainable masterplans. “At schmidt hammer lassen architects, we have the ambition to create world class sustainable architecture, and we are excited that existing and new collaborators share this ambition,” said Associate Partner, Mr Chris Hardie, who is located in the Shanghai office. The official opening of the office took place on Monday 5th September, 2011. 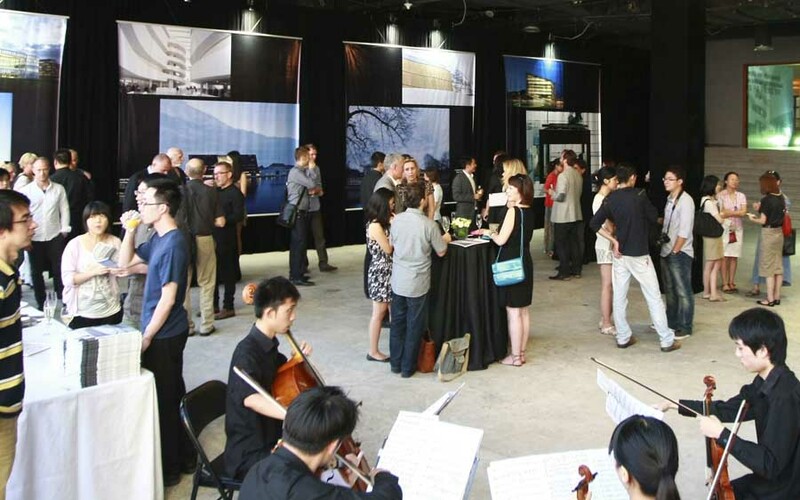 The occasion was celebrated by an informal gathering and a mini-exhibition of schmidt hammer lassen architects’ past, present and future work. Danish Consulate General in Shanghai Ms Susanne Hyldelund welcomed the guests along with Founding Partner of schmidt hammer lassen architects Mr Bjarne Hammer, and CEO at schmidt hammer lassen architects Ms Bente Damgaard. Four new appointments have been made to support key strategic areas of schmidt hammer lassen architects. The ambition of the practice is to create outstanding architecture where social responsibility and holistic sustainability is an integrated part of all designs, while maintaining constant focus on the value of the architectural experience. To fortify this ambition a new Partner, two Associate Partners and a R&D Responsible have been appointed. Kristian Ahlmark is appointed Partner of schmidt hammer lassen architects. 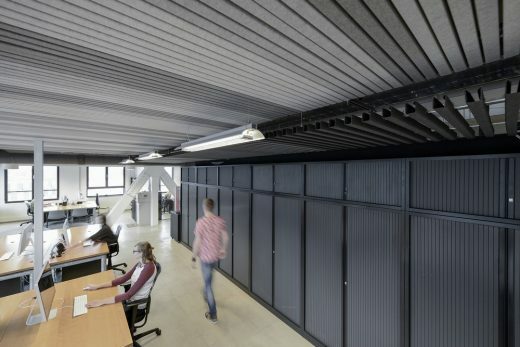 He has been part of the Copenhagen Office since it was founded in 2001 and has proven his architectural talent in several significant projects. He became Associate Partner in 2006 spearheading many Danish and international competitions, especially in the Asian region. Kristian Ahlmark will continue to work internationally and he will furthermore, as Head of Copenhagen Office, be responsible for expanding and developing schmidt hammer lassen architects’ business activities in the Copenhagen and Oresund area. Chris Hardie is appointed Associate Partner and Head of Asia Office. 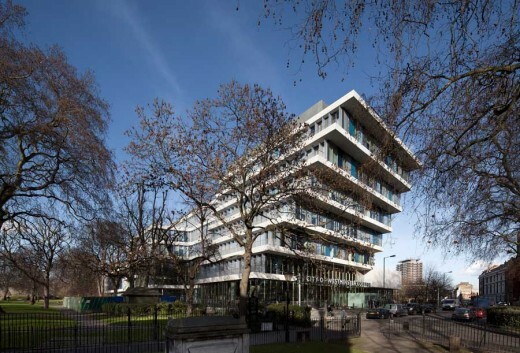 He joined the London Office of schmidt hammer lassen architects in 2008 and has been involved in and responsible for a number of significant projects. Since November 2010, Chris Hardie has been responsible for the activities carried out by the practice in China and Asia, and he will continue to increase the activities in Asia and expand the Shanghai Office. Rasmus Kierkegaard is appointed Associate Partner. He has been part of the practice since 2003, and has been involved in many of the major Danish and international competitions. Rasmus Kierkegaard is Head of Concept Development, and with his background and experience he will contribute to implementing innovative architectural solutions into the competitions done by the practice. Torsten Sack-Nielsen is appointed R&D Responsible and will be in charge of the Research & Development unit at schmidt hammer lassen architects. He joined the practice in 2006 and was appointed Sustainability Responsible in 2008. 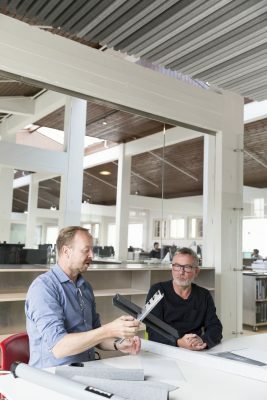 With his extensive knowledge about sustainable and intelligent materials Torsten Sack-Nielsen will continue to make international cutting-edge knowledge an integrated part of the architecture designed by schmidt hammer lassen architects. 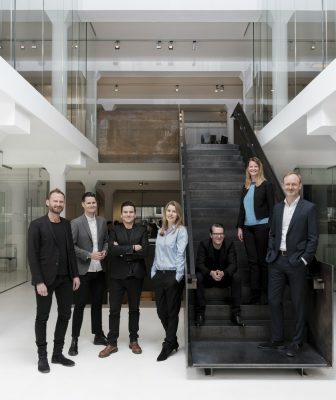 “The new appointments underline that schmidt hammer lassen architects is an architectural practice in constant development and we are proud to be able to extend the management team to include these four talented architects,” said CEO Bente Damgaard. In 1986, Morten Schmidt, Bjarne Hammer and John F. Lassen founded the architectural practice schmidt hammer lassen in 1986. Subsequent partners Later in 1998 Kim Holst Jensen became a partner in 1998 and in 2004 Morten Holm in 2004.
schmidt hammer lassen now has more than 130 staff and has become one of Denmark’s leading architectural practices with award-winning projects in Denmark, Scandinavia, Europe and Asia. 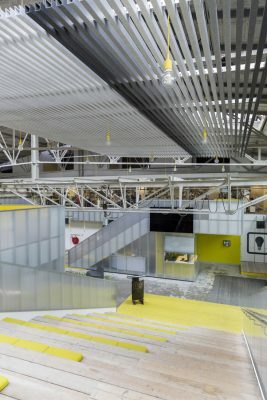 The practice has a distinguished track record with a broad portfolio of cultural buildings, sports centres, educational complexes, corporate headquarters, large-scale retail and housing schemes (often within complex urban contexts) as well as interior and product design. 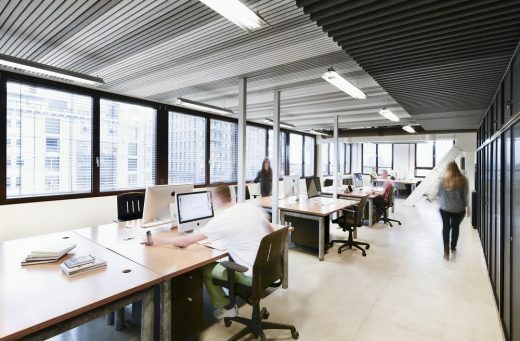 Many projects tap into the complete spectrum of shl’s expertise – from initial masterplan to buildings to interior fit-out. Many shl projects have been awarded Danish and international prizes. These include the new Royal Library in Copenhagen, AROS Aarhus Art Museum, Greenland’s Arts and Community Center, Nykredit’s headquarters in Copenhagen, Halmstad Library in Sweden, Alta Cathedral in Norway, Amazon Court in Prague and Chongqing’s new urban quarter in China. 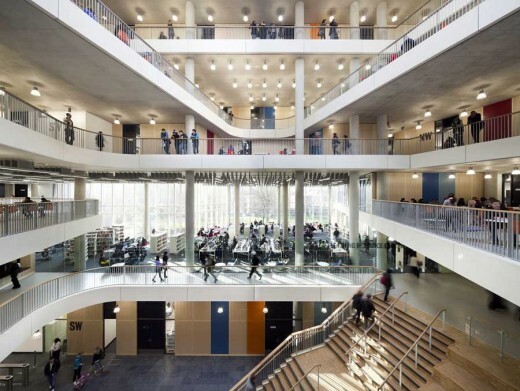 New schemes include the University of Aberdeen New Library (shl are leading architects in a multi-disciplinary design team including Engineers Arup and Quantity Surveyors Davis Langdon LLP) and a large new Technical College in Larvik in Norway. shl has been short listed this year in an international architect competition for the new headquarters for The Scottish Ballet in Glasgow; the practice is also on English Partnership’s shortlist of practices selected for the Framework Agreement for masterplanning, urban design, architecture and landscape architecture. shl prides itself on communication, clear design process, full client participation and focused teamwork. Danish architects schmidt hammer lassen has for more than 20 years enjoyed a reputation as one of Scandinavia’s leading, award-winning architectural practices. The practice’s head office is located in Aarhus, Denmark with branch offices in Copenhagen, Oslo and London. schmidt hammer lassen also has a growing international presence, with a range of high-profile projects in Europe, China and the Middle East. 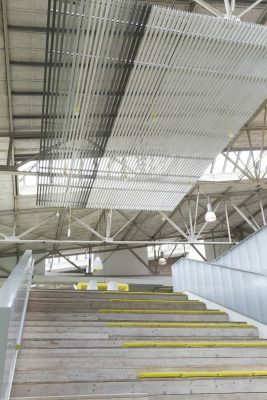 The practice has a distinguished track record as designers of high-profile cultural buildings, such as art galleries, educational complexes and libraries. Notable amongst these is the practice’s acclaimed design for the Royal Danish Library which enjoys landmark status in the Danish capital. schmidt hammer lassen recently won a prestigious international competition to design a new library complex for the University of Aberdeen. schmidt hammer lassen’s portfolio includes sports centres, corporate headquarters, large-scale retail and housing schemes as well as interior and product design. New projects include Norway’s largest technical college – the Thor Heyerdal school in Larvik, Amazone Court in Prague and an urban quarter for Chongqing, China. April 19, 2018 in Architects.